The beauty of energy is that there is an ebb and flow. Today is one of those ebb days as the pure 20-2 energy temporarily tranquilizes the mojo of the week. It’s perfectly OK though because you need a day to kick your feet up and enjoy some major accomplishments. This is the first week in a long time that hasn’t felt like you were going in circles or jumping all over the map. You actually made some headway in the goals department. 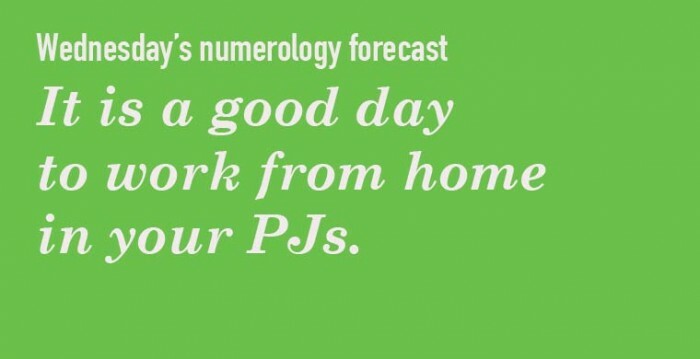 Wednesday is a good day to work from home in your PJs and enjoy some quiet time to reflect. Michelle Arbeau is an internationally recognized celebrity numerologist, author, inspirational speaker and radio/TV host. She has a Hollywood clientele base that includes “Twilight” vampires, a “Big Bang Theory” actress, “Pirates of the Caribbean” actor, an NBC director, celebrity stylist and many more. A media favorite and considered an expert in her field, Michelle is frequently a repeat guest on national outlets such as CBC Radio, CTV Morning Live, Breakfast Television and LA Talk Radio. Her newly released books, “The Energy of Words: Use the Vibration to Manifest the Life You Desire” and “Soul Numbers: Decipher the Message from Your Inner Self to Successfully Navigate Life” are the product of combining her love of numbers with her passion for helping others to find purpose, meaning and joy in life. 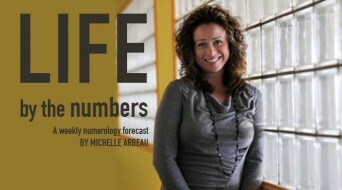 Learn more at www.MichelleArbeau.com. Posted April 6th, 2014 & filed under Blogs.